Now this is a cake! 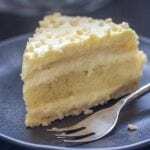 An Italian Orange Diplomat Cake or also known as Torta Diplomatica. 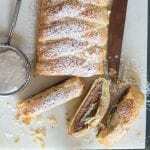 Two layers of puff pastry, a layer of sponge cake filled with a creamy orange Italian Pastry Cream. When I first arrived in Italy this was the Birthday Cake of Choice. I was never one for liquor in my desserts (and I am still not, unless of course you are talking about Baileys)! So I never really appreciated a Diplomat Cake or Torta Diplomatica. 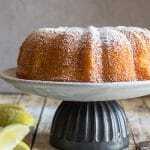 This traditional Italian Cake was soaked or so it seemed in a rum syrup. Needless to say I never wanted to seem rude so I would take my slice and slip it to the Italian, who of course would announce through mouthfuls just how amazing this cake was. Fast forward 25 years, I still don’t like liquor drenched desserts, but I’m still loving Baileys. Although I always thought the combination of the puff pastry, sponge cake and the layers of Italian Cream sounded delicious. So I thought why not change it up a bit? And that is exactly what I did. I removed the rum, and added orange flavouring (orange juice but if you like, an orange liqueur would work too). I made it into a round cake rather than the traditional square or rectangle. This cake may seem very complicated or difficult but it really isn’t. I found making it in the following order really helped. First make the Sponge Cake. While the cake is baking make the Pastry Cream. 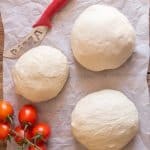 Prepare your Puff Pastry for baking. 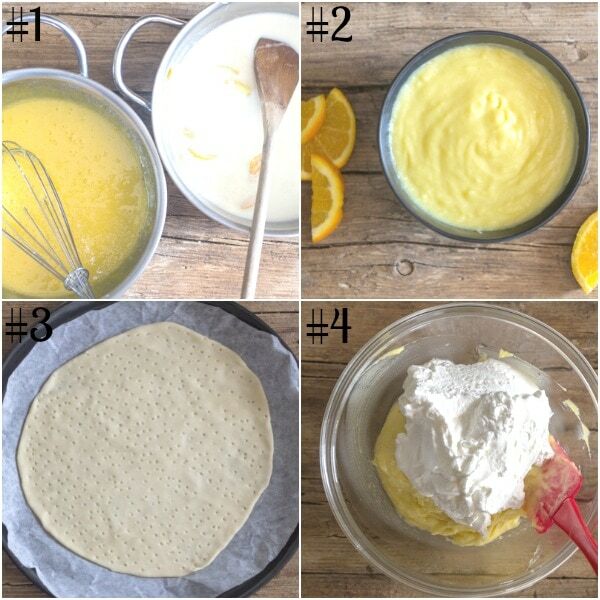 Make the Orange Syrup (while everything is cooling or baking). Whip the cream and fold into the chilled Pastry Cream. This Italian Cake is not one of those quick and easy. It actually isn’t difficult but time and patience is needed. So start early in the day and by dinner time you will have a wonderful new Dessert Recipe. I also made enough cream to not only fill the cake, but also frost the outside. And a sprinkle of chopped almonds finished it off perfectly. This is a three layer cake but the layers are all quite thin, so nothing is over powering the other. 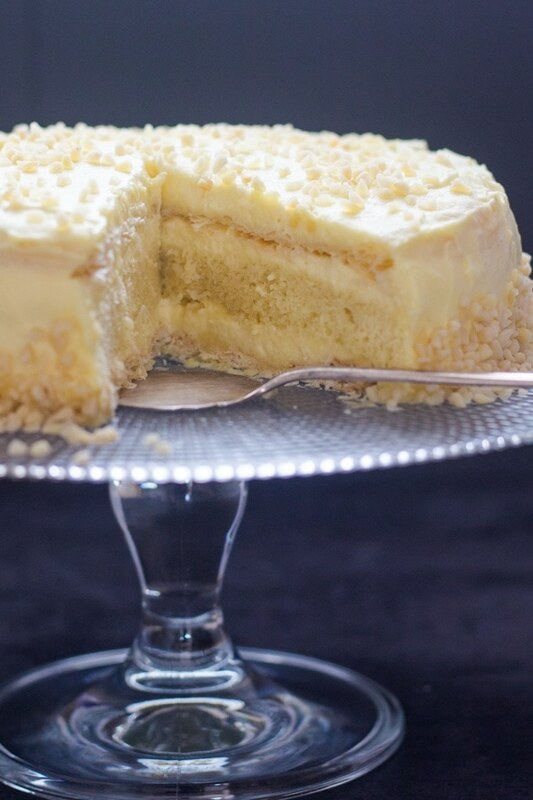 You basically have crunchy, soft, creamy and sweet (but not too sweet) all in one cake. And like most cream cakes this will last up to three days refrigerated. 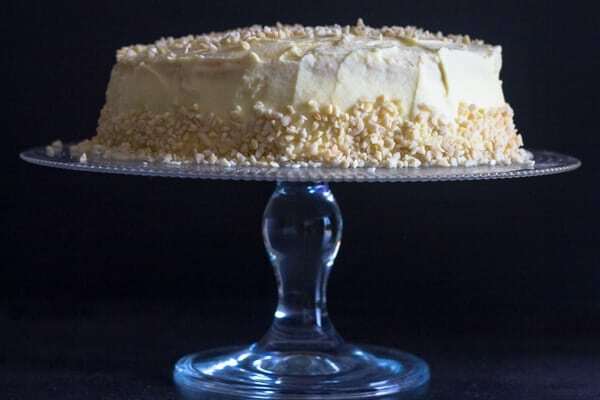 It is believed that the chef of the Diplomat, Duke of Parma created this cake in the 15th Century to give as a gift to the Duke Francesco Sforza of Milan. This is one of those deceiving cakes, it tastes so light and not at all heavy, but unfortunately that doesn’t mean it is calorie free! But have a slice anyway. Enjoy! 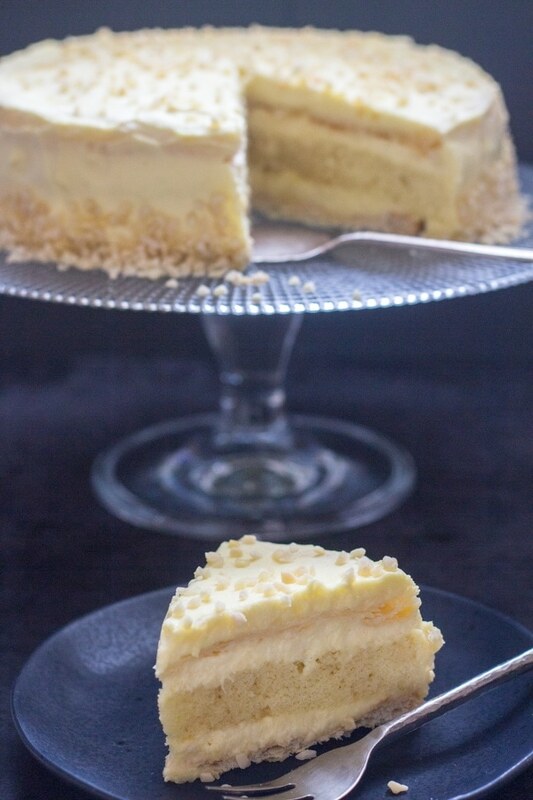 Italian Orange Diplomat Cake or also known as Torta Diplomatica. Puff pastry, sponge cake filled with a creamy orange Italian Pastry Cream. Pre-heat the oven to 350°. Grease a 9 inch (24 cm) springform cake pan. 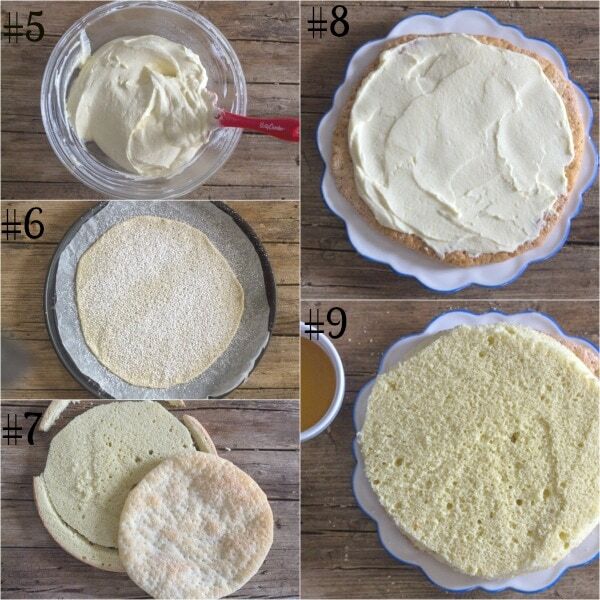 Start by making the sponge cake. Beat on medium-low speed the eggs and sugar until well mixed (2 minutes) add flour and baking powder and continue to beat on medium speed for 2-3 minutes or until smooth. Pour into prepared cake pan and bake for approximately 30 minutes or until tested done. Let cool completely. Once the cake is cool slice off the top and bottom of the cake leaving the centre layer (approximately 1/2 inch / 1 1/4 cm thick). While the cake is baking make the Pastry Cream Filling. In a medium pot, add the milk, cream and orange peel and heat to very hot over medium heat, do not boil. Remove from heat and let cool to warm. Remove the peel and discard. In a medium pot add yolks and sugar, whisk together until combined, then add the vanilla and flour and combine. Place the pot over medium / low heat, add warm milk/cream, whisking continuously until almost thickened then add the orange juice and continue until thick. Remove to a glass bowl, cover with plastic wrap (make sure wrap touches the cream mixture) and refrigerate at least 1.5 hours. While the cake is cooling and the Pastry Cream is chilling. Prepare the puff pastry. Roll out the pastry and gently roll a couple of times with a rolling-pin. Cut the puff pastry a little larger than the 9 inch cake pan. 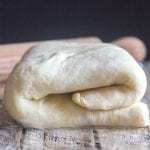 Place on a parchment paper lined cookie sheet, prick the dough with a fork (see photo). Sprinkle with powdered / icing sugar and bake for approximately 15-20 minutes or until golden. Let cool completely. In a medium pot on medium heat, add the water, sugar and juice, heat until boiling then reduce heat and simmer for 5-7 minutes. Remove to a small bowl and let cool completely. In a large bowl add the cream and beat until soft peaks appear than add the sifted powdered / icing sugar and beat until stiff. Fold into the chilled Pastry Cream. On a flat plate place one teaspoon of pastry cream then place 1 puff pastry round on top (this keeps the cake from slipping), top with 1/4 of the cream filling, place the sponge cake layer on top and top with almost all of the orange syrup, then top with 1/4 of the cream filling, place the remaining puff pastry layer on top (at this point I found it best to refrigerate the cake for 30 minutes). Then finish frosting the cake and sides with the remaining cream filling. Sprinkle with ground almonds. 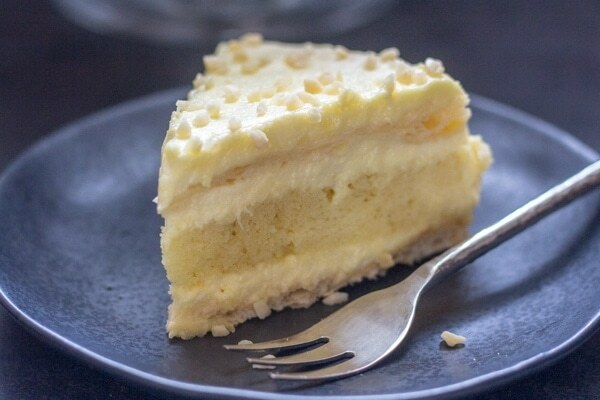 Refrigerate cake for at least one hour before serving. Enjoy! It is wonderful how you manage to bring me my childhood memories back; my grandmother used to make Torta Diplomatica and , frankly, I have no idea where to look for it. Luckily here we are 🙂 Grazie milla ! Thanks so much, I love bringing back memories. Hope you enjoy it. Oh my gosh . I love your recipes. I lived in Vicenza Italy in the early 70s while my husband was in the military. We loved Italy and the wonderful food. I am so glad I found your web site. Love, love your recipes. I’ve only tried a few and they were wonderful. Hi Patricia, thanks so much. So glad you like the recipes. Have a wonderful Sunday. Love your recipes. Haven’t made them yet, but the directions are simple to follow. Now that cool weather is upon us, I hope to have a baking good time! I know my friends and church members will be happy I fou d this site. Thanks! Hi Tina, thanks so much. Let me know what you try and how it goes. Have a great weekend.